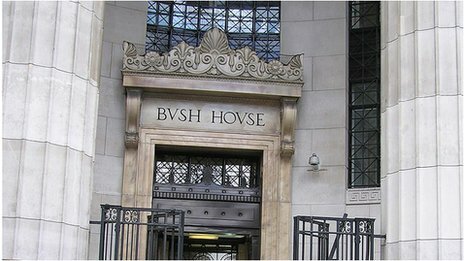 BBC has decided to close the well known Bush House, the building between Aldwych and The Strand in London at the southern end of Kingsway. The West End has always been Fun Town. After the Great Fire of 1666, rich citizens left the City and went west in search of leafy streets, brick houses and off-street parking for horses and carriages. Courtiers lived near St James’s Palace, but everyone else aimed north of that and around them popped up pubs, clubs, restaurants, theatres and shops. The area swallows three postcodes: W1 (technically West London, but seen as central) and WC1 & 2. When people moan about “West End prices” or rave about “West End theatre”, that’s what they mean. W1 is bordered by Piccadilly, Park Lane, Marylebone Road and Tottenham Court Road – divided almost literally into quarters: the broad, patrician streets of Mayfair; Boho-lite Marylebone; once-faded Fitzrovia; and compact, frenetic Soho. Running through the middle is high-street heaven, in the form of Oxford Street. WC2 – Covent Garden, with its theatres, restaurants and famous market, the Strand and Trafalgar Square – is a natural bedfellow, all shops and pizzazz, but WC1, to the north and east, is utterly different. This is brainy London; home to Bloomsbury, academia and “Museum Mile”, including the British Museum, and London’s oldest universities. There are no huge parks in the West End, the dominant form of open space being pretty, well-maintained squares, and it’s fair to say that it used to be a bit of a dump in parts. In the past decade the area around Regent Street has restyled itself as the Luxury Quarter, Carnaby Street has recovered its 60s mojo, Oxford Street is cleaner and better lit, Covent Garden is heading upmarket and the New West End Company – for development and trade – is investing £1.5 bn in the area. A levy on West End theatre tickets may be needed to save some of London’s historic buildings.